Known as the “Jewel of the Kawarthas,” Fenelon Falls is located on the Trent-Severn Waterway and the pristine Cameron Lake. It has a population of 1,800 permanent residents, which swells in the summer due to tourism and cottagers. The people are friendly, warm and welcoming – embracing family values and country roots. Nestled amongst natural surroundings, the “Jewel” sparkles with geographical beauty, offering waterfalls, waterways, the gorge, and all that nature has to offer. Fenelon Falls is an inclusive and supportive community that addresses the social, recreational and spiritual needs of its residents, with a focus on healthy living and well-being. Residents of Fenelon Falls live, work and play in the community, while feeling safe and secure alongside their neighbours. Fenelon Falls was originally named Cameron Falls, and was renamed after Francois de Salignac de La Monthe-Fenelon, who established a mission in Bay of Quinte and travelled the Trent-Severn Waterway ministering to his flocks along the way. The village was an ideal location for a mission and early settlement, nestled between the two lakes at the sight of the 23 foot waterfall. As an established route for the fur trade, the area around the falls was settled by the first pioneers in the early 1800s. 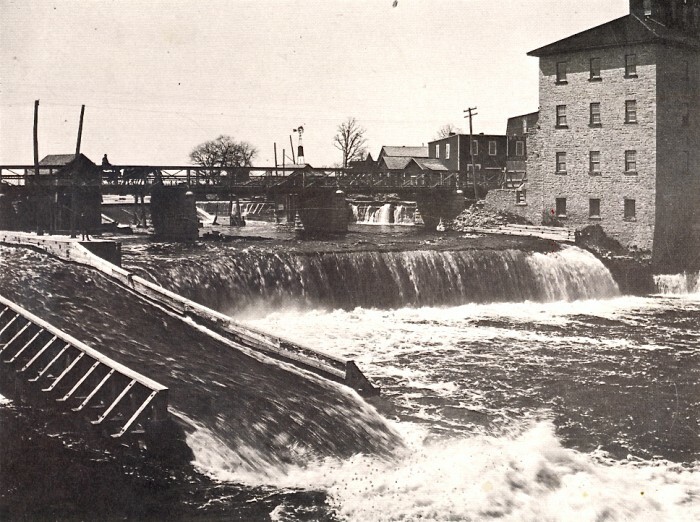 Logging and agriculture developed in Fenelon Falls during this century with a prosperous flour mill built by James Wallis. The first bridge was built over the river by R.C. Smith in the 1860s to get trains across to haul away lumber.